Ground Up Constructing are the sole owners of the information collected on this website. We commit to you that we will not sell, share or rent this information to others in ways different from what is disclosed in this statement. Ground Up Constructing complies with the Personal Information Protection and Electronic Documents Act (PIPEDA) and the Canadian Standards Association Model Code for the protection of personal information, which it incorporates. To learn more visit the Office of the Privacy Commissioner of Canada. Additionally, we understand and comply with Canada’s Anti-Spam Legislation (CASL) enacted July 1, 2014. You may request to view, change, correct, or delete any data that we have about you and/or your organization both off-line and online, such as newsletter signup, and submission of website forms. (NOTE: edit as per services/products offered). 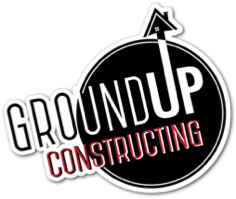 You may opt-out of any future contact from Ground Up Constructing by contacting us by telephone, fax, email or mail as noted at the bottom of this page. Only staff and contractors(*) who need the information to perform a specific job (for example, shipping or customer service) are granted access to personally identifiable information. The computers and servers in which we store personally identifiable information are kept in a secure environment. Data collected for web analytics purposes goes outside of Canada to Google servers and may be processed in any country where Google operates servers. Data may be subject to the governing legislation of that country, i.e. the U.S. Patriot Act. For further information about Google Analytics, please refer to the Google Analytics terms of service. All photographs, illustrations, digital art, videos, and other forms of images on the website (“images”) are the exclusive property and copyright of Ground Up Constructing. Ground Up Constructing will be entitled to liquidated damages for each Unauthorized Use of any image or video. “Unauthorized use” means any reproduction that is not specifically granted by Ground Up Constructing. If you believe that your property has been used in any way that could be considered a copyright infringement or a violation of your intellectual property rights Ground Up Constructing copyright agent may be contacted as noted at the end of this page.